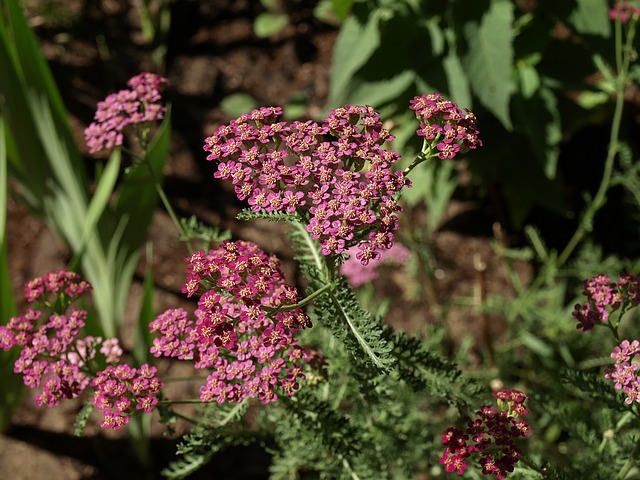 You’re in love with Achillea millefolium (commonly known as “Cameo”). Its pink touch of delicate lace adds beauty to almost any setting. It is both drought and deer tolerant. You would like to cover your yard with this stuff. You can! According to the USDA, they grow in Plant Hardiness Zone 3. That’s you in lovely Bigfork, Minnesota. Gardeners who are successful year after year have this to say about zone edge gardening. It can be done, but it is better to save “edgy” for shoe manufacturers and musicians under the age of 25. The edge is a difficult place in which to successfully plant and nurture growing entities. The most successful gardens on your block are filled with flowers toward the middle of the hardiness zone in which you live. Here are some plants, flowers, and trees that will work best in your region, followed by some entries that technically, you can grow…but we suggest you don’t. We like you to succeed! Would you like some even better news? All of these plants and flowers are available right now! Most of the trees are, as well. Zone Three: Remember our friend in Bigfork, Minnesota? She wanted to plant Cameo in the worst way. Unfortunately, Cameo is an edge plant in Zone 3b. She would be better off planting Lavatera trimestris, or “Pink Blush.” It has masses of 3-inch, pink-blushed, flowers that resemble Hibiscus from early Summer to the first frost. The White Spruce tree is a good choice for Zone Three. Zone Four: Examples include: Laramie, Wyo., Stevens Point, Wis., and Penobscot, Maine. Aquilegia caerulea or Rocky Mountain Columbine is a good choice. An edge pick would be Asclepias syriaca, or “Virginia Silk.” Our tree of choice for Zone Four would be the Sugar Maple. Zone Five: Examples include Fort Collins, Colo., Davenport, Iowa, and Ithaca, NY. The Bellevalia pyracantha, or “Giant Grape Hyacinth” is a fine and abundantly fragrant choice for this region. An edge pick would be the Roxanne Geranium. Consider the Quaking Aspen tree. Zone Six: Examples include, Wichita, Kan., Belleville, Ill., and Harrisburg, Penn. The ornamental grass Deschampia caespitosa, or “Northern Lights,” is an excellent choice, but there are a lot of choices in this climate. The “Clematis,” and the “Pincushion Flower,” are also excellent choices. Zone Six is the beginning of some verdant growing conditions as the weather gets warmer. The Helleborus orientalis, or “Berry Swirl” would be considered a little on the edgy side. The Japanese Flowering Cherry tree is a Zone Six favorite. Zone Seven: Examples include Walla Walla, Wash., McAlester, Okla., and Raleigh, N.C. The Aquilegia vulgaris, or “Black Barlow” is a striking and relatively unusual choice for this part of the world. For a splashier color consider the Dianthus plumarius, or “Thea Mary.” The Fragaria vesca ssp. californica, or “Woodland Strawberry” is a problematic edge selection. The Japanese Red Maple is a good Zone Seven tree selection. Zone Eight: Salem, Ore., Austin, Texas, and Columbia, South Carolina have a couple of things in common. They are all State Capitals. They are all a part of the large and soil/weather forgiving Zone Eight family. Clarkia concinna, or “Pink Ribbons,” are a great choice. So are Helleborus orientalis, or “Peach Blush.” The Abutilon striatum, or “Redvein Indian Mallow” would be an edge selection. Consider a Pink Dogwood tree. Zone Nine: Remember when we were kids and played the “getting cold/getting hot” game? Zone Nine is “getting hot.” Examples include Casa Grande, Ariz., McAllen, Texas, and Kissimmee, Fla. Remember that Redvein Indian Mallow that was an edge pick in Zone Eight? It’s a good one in Zone Nine. We also suggest the Eucomis pallid flora, or “Giant Pineapple Lily, and the Heuchera “Marmalade.” The Aeonium “Garnet” is a choice on the edgy side. Consider the majestic Baldcypree tree. Zone Ten: Much of the Los Angeles Basin, San Diego, and Naples, Fla are in Zone Ten. The cities in southern California and south Florida are Zone 11. The Abutilon hybridum, or “Victorian Lady,” is an excellent choice. So is the Agave stricta, or “Hedgehog Agave.” The “Orange Hot Lava,” albeit beautiful, is an edge flower for this region. Consider the Jacaranda for your tree. Is Eating Chocolate Good for A Healthy Heart?